Right now, jeans are B1G1 FREE from Aeropostale! Plus, you can add in coupon code EXTRA14 to get an extra 14% off online-only styles. (2) Women’s Seriously Stretchy High-Waisted Jeggings, $46.50 ea. 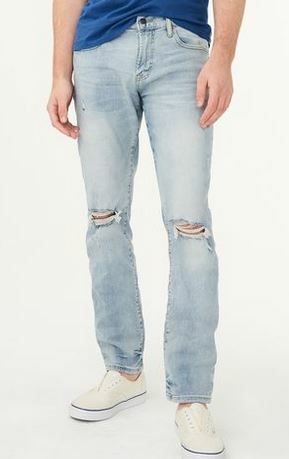 (2) Men’s Slim Straight Bleach Wash Destroyed Stretch Jeans, $59.50 ea. Shipping is free with $50+ orders. Better Deal! Ritz Crackers, Only $1.25 Each at Target!